Hi everyone, hope that you've all had a great week! 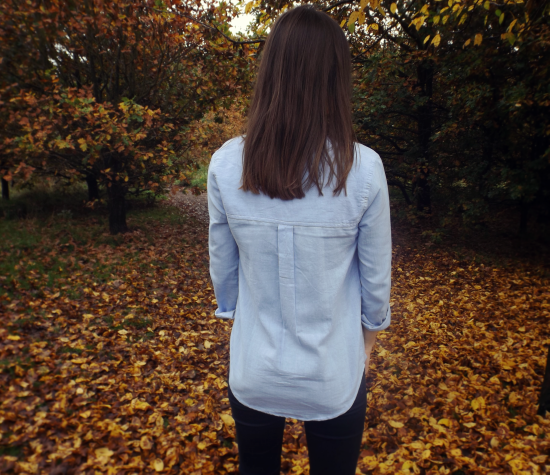 It's been a while since we've done a joint outfit blog post and as it's been so beautiful and autumnal this week, what a great excuse! I've been searching for the perfect chambray shirt for ages but none seemed to be the right size or look right when I tried them on so I was delighted to see that High Street Outlet had a Topshop version in exactly my size! As soon as it arrived I tried it on and was so happy with the fit and feel. 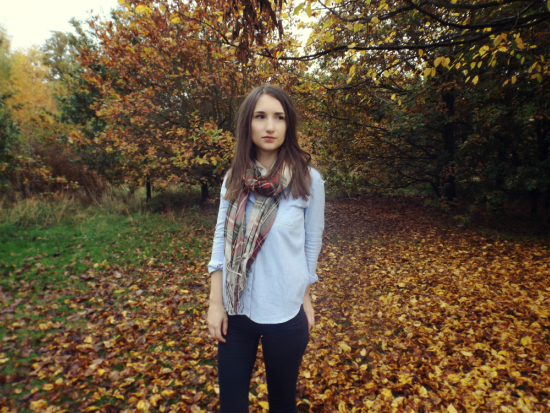 I've styled it with navy skinny jeans, brown boots and a tartan scarf, ideal for autumn! 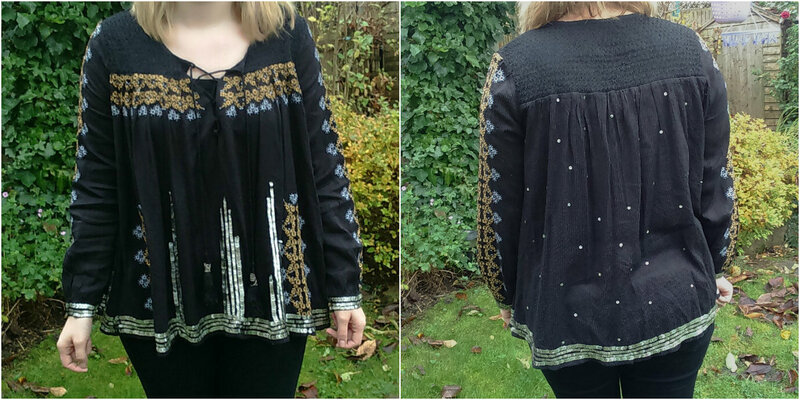 I LOVE a good boho top so I couldn't resist this gorgeous embroidered one - and better still its Kate Moss for Topshop! It's amazing quality and is a real bargain from High Street Outlet. 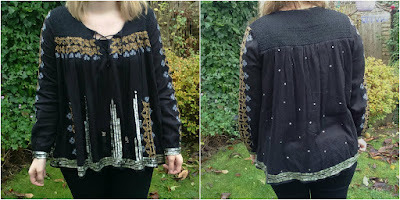 I styled the top for winter with ripped black jeans and studded boots. Come summer, I'll pair it with denim shorts and gladiator sandals a la Kate. 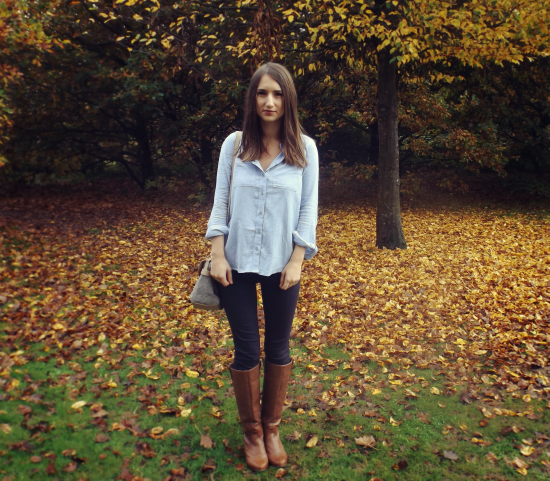 What have you been styling for autumn? these are both so pretty! Love the tops girls and now I know how to wear my brown boots! Both are pretty, but I think I would stick with the chambray one, paired with the brown boots. Right my style. Loving the colors for the fall! You're both so cute,love the outfits! lovely outfits:) I am definitely going to have a browse on the site! I think a pretty scarf is an absolut must or Fall :) Nice looks! Love Rosanna's scarf & Laura's top - so pretty! 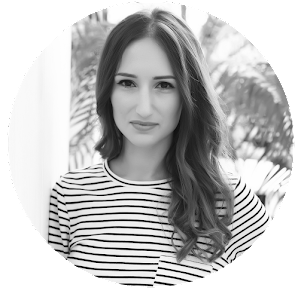 That embroidered top is quite lovely and I love a good chambray top. You both look so pretty in these tops! The chambray shirt is a must-have piece and the boho top is so in right now. Have a great weekend! I love looks. Super cute tops and thanks for stopping by. Will check that store out. You both look amazing! You style your outfits brilliantly and seriously, complement one another. i love the first and second looks..the autumn background is so good..
You both look gorgeous! Nice looks! Great fall outfits! You ladies look lovely! you both look great...the first outfit is so perfect in its simplicity...and the second outfit is wonderfully stylish as well. I really like that boho blouse in the second outfit. The site sounds cool! Love how you styled the looks both of you! I like both of the looks you are wearing! With a classy shirt and brown boots you are always on the right side and I adore also the super lovely boho blouse! 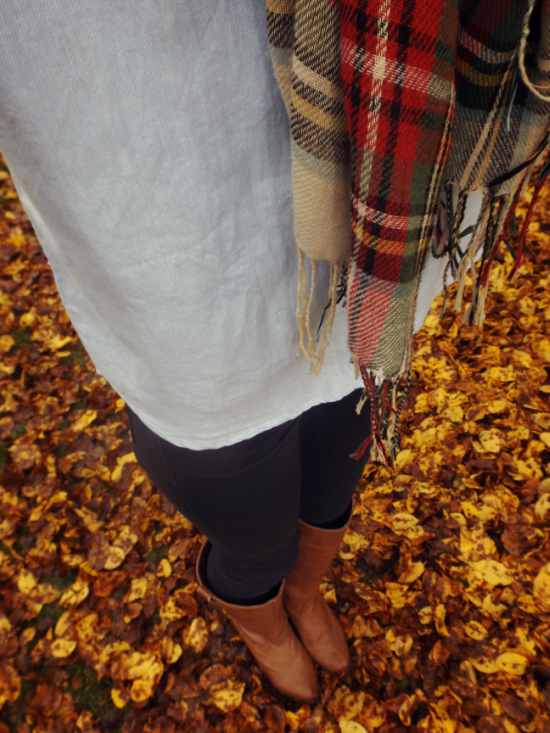 Rosanna - those boots and scarf just scream Autumnal! And Laura you look fab too!